According to the World Health Organization (WHO), hearing loss is one of the six leading factors worsening the quality of life. 360 million people suffer from hearing impairment, which is 5.3% of the world’s population, of which 328 million are adults and 32 million are children (WHO, 2012). For every 1000 newborns 1 is born with sensorineural hearing loss of 3-4 degrees. WHO stated that by 2020 the number of people with hearing loss will increase by no less than 30%. According to the RSMPRC of pediatrics, in Uzbekistan, the treatment of children with hearing loss of severe degree and deafness in 2014 was 520 cases, in 2016 due to the introduction of a modern diagnostic method for audioscreening, the number of detected exceeded 2000. How to solve the problem abroad. 30 years ago, before the introduction of the operation of cochlear implantation, the diagnosis of “Deafness” was for the child almost a verdict. To treat this category of children in the world’s leading clinics, cochlear implantation is performed. How the problem is solved in Uzbekistan. The protection of children’s health and the development of a harmoniously developed generation is a priority direction of the policy of the state of Uzbekistan. A great place in this direction is given to improving the quality of life of socially vulnerable children and their integration into society. One of the proof of this is the state’s concern for the health of children with deafness and deafness. Until 2014, patients with this pathology were forced to travel to other countries for the operation of cochlear implantation, which required large financial costs. And this, in turn, also did not solve the problem to the full, since in fact postoperative rehabilitation of implanted children was not carried out, and if it was, it was not fully and not systematically. Within the framework of the State Program “Year of a healthy child”, in 2014-2016, 300 operations of cochlear implantation using the most modern auditory implants. A program for the rehabilitation of children with severe hearing loss and deafness, meeting world standards, has been developed and successfully implemented in the RSMPS of pediatrics, while benefiting from an integrated and step-by-step approach to the rehabilitation of each child. Complexity of the program is that it includes all stages of rehabilitation of children with severe hearing loss and deafness: Stage 1 – audio scoring of newborns, selection of children and pre-operative rehabilitation; Stage 2 – operation of cochlear implantation; Stage 3 – postoperative complex medico-social and pedagogical rehabilitation with the integration of children in general education schools. For effective rehabilitation, the Center has created a methodological base with the development of a scientifically grounded package of documents for specialists of all levels and, what is very important, for parents. To effectively integrate children into society, the Center established a parent committee and provided conditions for communication between parents and implanted children, which contributes to the psycho-emotional adaptation of children and their families. From 2014 to the present day in the RSMPS of pediatrics, a rehabilitation program with cochlear implantation is being implemented among more than 300 children. 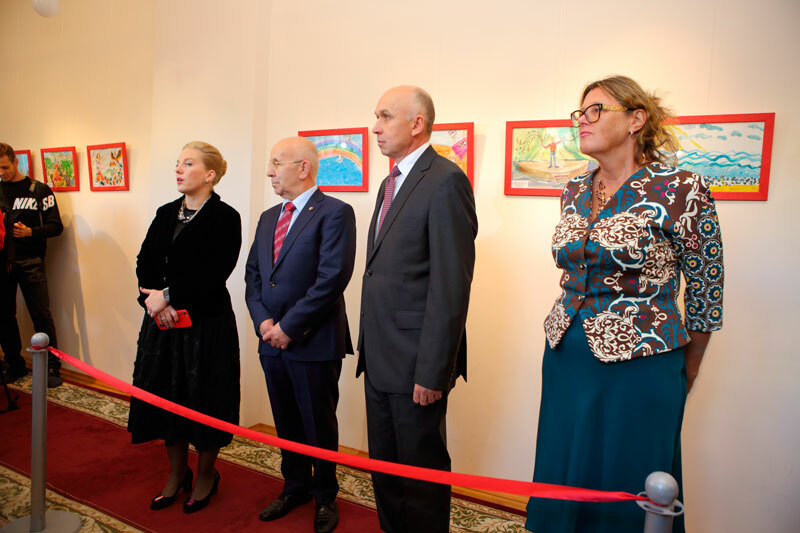 The program of children’s rehabilitation is implemented in all regions of the republic, on the part of the specialists of the Center, all stages, especially the postoperative period, are monitored on an ongoing basis. Monitoring showed that as a result of postoperative rehabilitation, all children hear and distinguish sounds, more than 90% of children talk through the system work of surdopedagogs and continue to learn colloquial speech. Children freely communicate with their peers, visit various circles (music, dance, art). 5 children became laureates of the I degree at the 1st International Music Festival “Magic Symphony” for children with hearing impairment (September 14, 2016, St. Petersburg). Based on the results obtained, it is planned to establish regional centers for pre- and post-operative rehabilitation of children with severe hearing loss and deafness. The rehabilitation program and the results received in a short time were highly appreciated and recognized for their uniqueness and effectiveness as the “Uzbek model” by specialists from leading clinics and centers of the world. They recognized that in Uzbekistan all stages of rehabilitation are carried out and an individual approach to each implanted child is implemented, which is not carried out in other countries. Efficiency. The introduction of the rehabilitation program has led to a high efficiency of hearing and speech rehabilitation of children with severe deafness and deafness, expressed in improving the quality of life and integration of children of this contingent in the learning process and society. Economic efficiency is also a marked decrease in trips to the cochlear implantation abroad, and, very importantly, the carrying out of all stages of rehabilitation in the republic. The situation at the time of the project implementation. According to the World Health Organization (WHO), hearing loss is one of the six leading factors worsening the quality of life. About 360 million people suffer from hearing impairment, which comprises 5.3% of the world’s population, of which 328 million are adults and 32 million are children; 1 out every 1000 newborns is born with sensorineural hearing loss of 3rd or 4th degree (WHO, 2012). WHO states that by 2020 the number of people with hearing loss will increase by no less than 30%. According to the RSMPMC of Pediatry, in Uzbekistan, the in-patient visits of children with hearing loss of severe degree in 2014 comprised 520 cases and due to the introduction of a modern diagnostic method for audioscreening, in 2016, the number exceeded 2000. 30 years ago, before the introduction of cochlear implantation, the diagnosis “Hearing loss” would mean that a child is doomed to be deaf. Nowadays, this category of children is provided with cochlear implants in advanced world clinics. Children’s health protection and all-round development of new generation is a priority course of the policy in Uzbekistan. A significant attention in this direction is given to improving the quality of life of socially vulnerable children and their integration into society. One of the evidences of this is the state’s participation in the improvement of the health of children with hearing loss. Before 2014, patients with this pathology would be induced to travel abroad for cochlear implantation surgery performed on them, which would require essential financial costs. Moreover, the latter, would not solve the problem either to the full extent, since in fact, these children would not get necessary postoperative rehabilitation, and if there would be one, it would not be full and consistent. Within the framework of “Healthy Child Year” – the State Program, 300 operations of cochlear implantation using the most modern auditory implants were carried out during 2014-2016. A program for the rehabilitation of children with severe hearing loss and deafness, meeting world standards, has been developed and successfully implemented in the RSPMC of Pediatry, while the program has advantages compared to similar programs implemented in other countries in the form of an integrated and step-by-step individual approach to rehabilitation of every child. 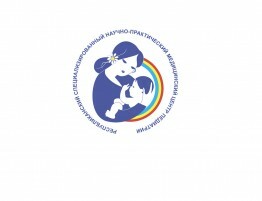 Comprehensiveness of the program is that it includes all stages of rehabilitation of children with severe hearing loss and deafness: Stage 1 – audioscreening of newborns, selection of children and pre-operative rehabilitation; Stage 2 – surgery of cochlear implantation; Stage 3 – postoperative complex medico-social and pedagogical rehabilitation aiming at integrating children in general education schools. For effective rehabilitation, the Center has created a methodological base with the development of a scientifically proven set of regulations and recommendations for specialists of all levels and, what is very important, for parents. To effectively integrate children into society, the Center established a Committee of Parents and provided conditions for communication between parents and implanted children, which contributes to the psycho-emotional adaptation of children and their families. Since 2014 to present day the rehabilitation program after cochlear implantation in the RSPMC of Pediatry is being implemented among more than 300 children. The program of children’s rehabilitation is implemented in all regions of the republic and all stages, especially the postoperative period, are monitored on an ongoing basis by the specialists of the Center. The monitoring showed that as a result of postoperative rehabilitation, all children start to hear and distinguish sounds; more than 90% of children start to speak after systematic work of surdologist-instructors and continue to learn colloquial speech; children freely communicate with their peers, study in various circles (music, dance, art). Notable the fact that 5 children became I degree laureates of the 1st International Music Festival “Magic Symphony” among the children with hearing impairment (September 14, 2016, St. Petersburg). Based on the obtained results, it is planned to establish regional centers for pre- and post-operative rehabilitation of children with severe hearing loss and deafness. The rehabilitation program and the results received within a short period were highly appreciated and recognized by specialists from leading clinics and centers of the world for their uniqueness and effectiveness as “Uzbek model”. They admitted that in Uzbekistan, unlike to similar programs of other countries, all stages of rehabilitation were carried out on an individual approach basis. Efficiency. Implementation of the rehabilitation program has led to a high efficiency of hearing and speech rehabilitation of children with severe hearing loss and deafness, resulted in improvement of the quality of life of children and their integration in society. Economic benefits include significant decline of foreign trips for the purpose of cochlear implantation, and, what is no less important, allowed receiving qualitative and comprehensive rehabilitation within the country.